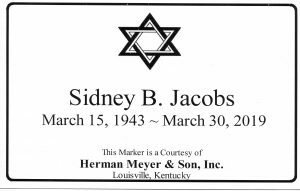 Sidney B. Jacobs, 76 – Herman Meyer and Son, Inc.
Sidney B. 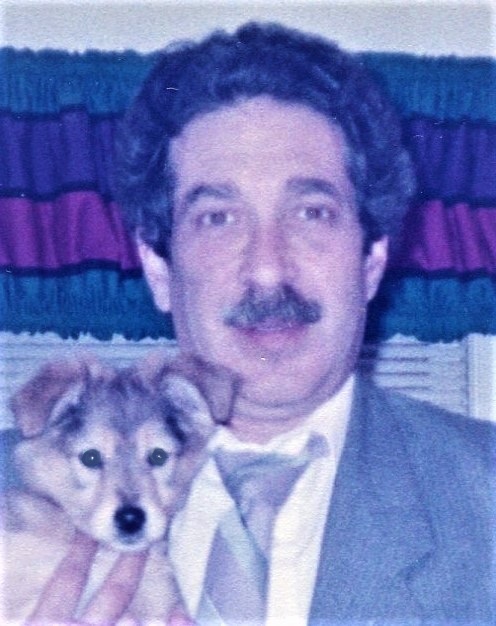 “Sid” Jacobs, died Saturday, March 30, 2019, in Louisville, at the age of 76. Sid was born to Arthur and Lillian Jacobs in Chicago, Illinois on March 15, 1943. He retired from Humana where he worked as a computer program analyst. Sid was a Master Mason at St George Masonic Lodge # 239 FA&M, 32 Degree Scottish Rite and a Kentucky Colonel. He was know for his witty sense of humor and straight-forth nature. He is survived by his children, Jennifer (Kjell) Davis, Barbra Jacobs and Benita Jacobs; his grandchildren, Kjell Davis II, Kaytlynn Munn, Kourtney Davis, Alyssa Jacobs, Taylor Jacobs and Gerald Jacobs; great grandchildren, Lexington, Grayson, and Xavier; his significant other half, Carol Davis and her family; his sister, Nancy Jacobs Siegel and his uncle, Lester Levin. Visitation is Monday, April 1, 2019 at 10 a.m. at Herman Meyer & Son, Inc., 1338 Ellison Ave. Funeral services will begin at 11 a.m. at the funeral home followed by interment at Keneseth Israel Cemetery.